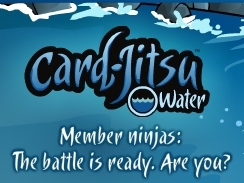 Card Jitsu Water Game finally out! Everyone was looking forward to this update that makes Club Penguin even more interesting for penguins. It's another complicated version of the normal Card-Jitsu. 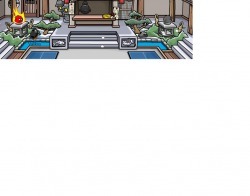 But only members ,of course, will have access to the new room located in the ninja hideout. Don't you think that this is unfair for non members? Shouldn't Club Penguin make a game for them too? What would be a good new minigame that you had always dreamt? Send us your ideas and views by signing up here! Music Jam 2010 finally here!!! This year's music jam is far more fun than the other years' parties! Music everywhere and many surprises are hidden everywhere! 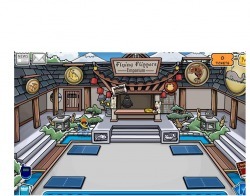 The only negative point is that especially this year, in all parties club penguins emphasizes to members so most of the rooms are only for them. One of them is Casa Fiesta a great rooms that can be entered through a door in the backstage. Anyways, music jam is one of the most popular club penguin parties and more penguins than ever login every day this period! Music Jam '10 is coming! One of the best annual Club Penguin parties, Music Jam, is almost here! Also check out the fireworks in the ice berg and the mountain. There will be lots of decorations and of course a special member room, the Casa Fiesta! Adventure Party 2010 is here! 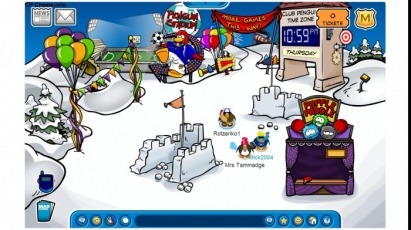 The 2nd Adventure party in the Club Penguin history is here! Even the Migrator is here! 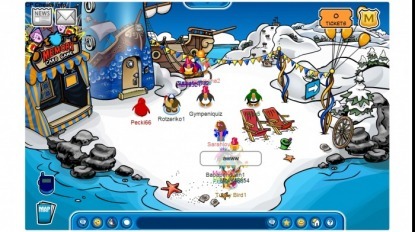 A scavenger hunt lot's of decorations and 3 free items(counting Rockhopper's) for non member penguins have made more people join the virtual world again. There are also two special member only rooms, the Battleships room located at the beach and the Treefort located at the forest where you can find a special item too! It is one of the best annual parties besides the fact that non members can receive only hats! For item cheats click here! The arrival of the new spy phone and the destruction of PSA has made more penguins than ever play club penguin every day. 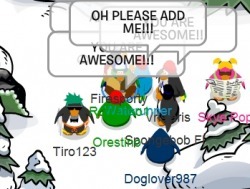 Also the opportunity to enter EPF without having the DS game is one of the top year's events! 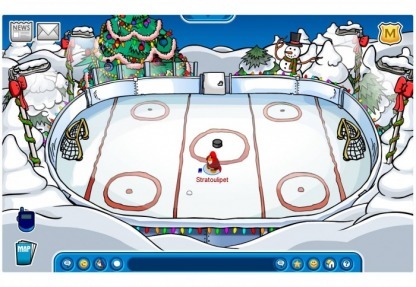 The Sports Shop became the place where agents are being trained to enter EPF and the Sports catalog has moved to the Penguin Stadium. Also the old HQ has become a new EPF command room. For the guide on how to pass the test click here. We have an update from Club Penguin in the newspaper about Earth Day.First of all it is announced to start on 22th and finish on the 25th of April. Second we have proof of what might happen during that event-some of the things might be permanent!!! In the article written about it says that they are planning to make a new path in the forest, and that they want to make Mine a beutiful place to visit. We hope these things will happen. To prove it we have posted a picture of the article with circled the points that we have refered to. Any further information will be posted right away!!! As announced Earth Day is upcoming on Club Penguin. We don't know what exactly will look like. There might be new trees planted and othere stuff ascosiated with nature care. There is a slight possibility to be a new free item! If we learn anything more about that event we will inform you right away! After four months we start again!!! 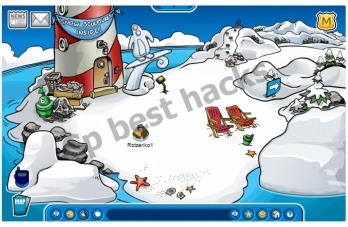 After a really long time we are back to Cp Best Hacks. We had a huge problem with our server computer and we had to buy it again in order to publish again. 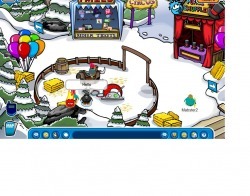 Now more and more cheats, hacks and secrets of Club Penguin will help you have a great time playing this game. We will do our best to imrove our site and protest to keep Club Penguin a free game open to everyone and do not have members anymore.But to manage to do all these things with need your support. 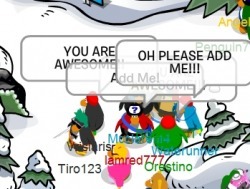 Tell your friends about us and Club Penguin so they will become a member of the community of Club Penguin. 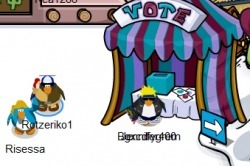 We are happy that we have returned into the action of Club Penguin. We will now on post everething new happening in Club Penguin, always with the most trustfool info and hacks! 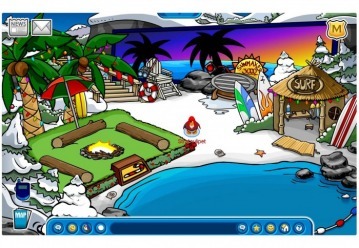 Card Jitsu Fire and Snow Maze Party: only for members! 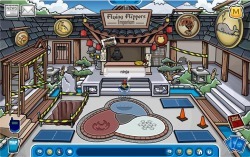 Card Jitsu fire is finally here and to end with another member only event club penguin made the snow maze party. There is an item for non members too, fortunately. Cheats are here. A brand new game, card jitsu fire will start on 24th of November, giving members the chance to enjoy more with playing Club Penguin game. Because of this fact non members concerns about cp stopping to be free anymore have been increasing. As you see in the picture dojo is almost i think the decoration is really good but dont calm downbecause the volcano is still smoking. Scavenger Hunt and othe cool things! In the ninja hideout there is a special ninja thing and if you are a member you can wear your cloud wave bracers to move the wheel. But what is going on?Tell as everything you know by commenting here. 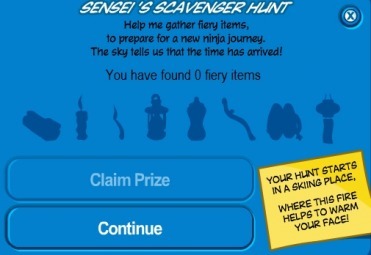 This happens when you are near a black puffle in forest,dojo courtyard,ninja hideout and ski village. 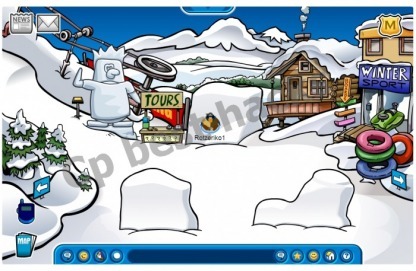 OK the pic shows where are the games in clubpenguin check it if you dont know where all the games are! 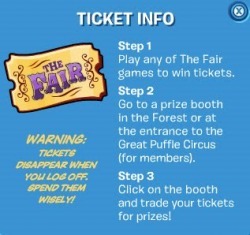 The rules of the Fall Fair! Hello again i am valikos and maybe you know the rules of the Fall Fair but check this pic it shows you the rules and read the WARNING! Hello everyone Valikos posting so did you ask yourself what happens when you are at the cove with the ninja suit at the cove if you wait for a little while you will see the fire gets bigger!! Fall fair party began today and brought lots of mini games to play and collect tickets. With these tickets will have the chance to redeem items from the booth in the forest. Also there is one party room for non members and one for members as well as special items only for them :( . Anyway have fun with the games! 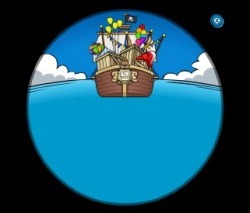 Rockhopper's ship is here too but he can't enter it right now. Glitch? Hello people, we are happy to announce the next party of our team! Just click here for more information. OK everyone club penguin has another <You Decide> so now you must choose one of the the backgrounds for the new October catalog it is for the Halloween Catalog yeah cool or scary! !Booooooo Booooo!! Ok everyone rockhopper is close Yeah! 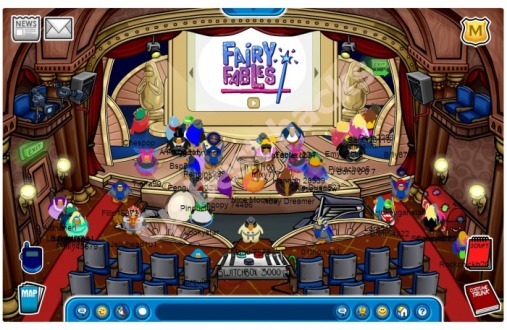 Upcoming party of Cp Best Hacks Team!!! One day of this week the party of our team will be announced.So keep an eye on the site and remember that every single second, the party could be announced!!! Fall Fair Party construction and Migrator on way to cp! One of the best parties of the year, the Fall Fair is under construction as you can see in the lighthouse. And if you watch the sea from the telescope you will notice Migrator coming. We are looking forward to it! 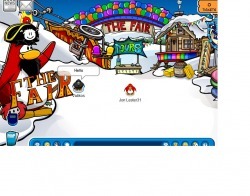 Club Penguin will throw a Festival of Flight party from 14th to 18th of August. Gary the Gadjet Guy has posted some information about it and the things we will create in the blog and the newspaper. 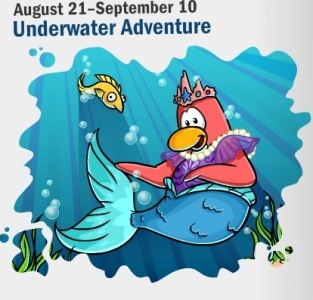 Also there will be an Underwater Adventure from 21st August to 10th of September. Hello! 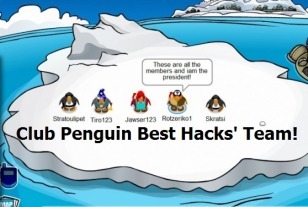 Sorry for not being "alive" for all these days but I had a very bad problem with the internet so I had to wait MONTHS to have telefone and internet... Nevermind I am back to the Cp Best Hacks team!!! Agado21 is back and will start publishing again in 3rd of August 2009! We will throw a party because of that. Welcome back Agado! There is a new color vote event in the forest. All you have to do is to choose what you like as a new club penguin color. So what is your favourite?Vote here. ΤΗΕ MUSIC JAM'O9 HAS BEGUN!!! There is one free item for members!The members are very angry!! !In second party room there is a box with MUSICAL INSTRUMENTS! The new free item for non members! Now we have the chance to get a pin that is from one year ago. Simply follow the steps here. Sensei's autograph will be the most rare backround on club penguin because of the fact that we had only 3 days to find him. Also he was only in the ninja hideout so all the ninja hideouts were full. Finally it was a holiday weekend so everyone was online. Due to these reasons only the 10% of the penguins managed to meet him. Seond Party of the site was pretty good. More penguin joined us. We will be announcing the next party soon so keep your eyes open. NEW SPESIAL MOVE FOR THE NINJAS! Cp Best Hacks Party ROCKED!!! We met Fano and Coco(betas)! Look!we met them!! !But they didn't add us! The adventure party is over! The adventure party hαs begun!!!! Here is the party room and it is ONLY for members!!! You can also feed the sarcophagus plant with a snowball!!! 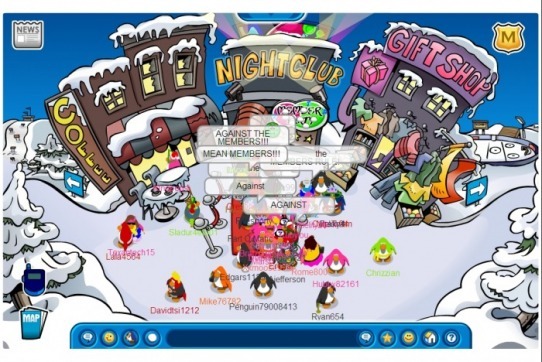 Members are protesting for stopping membeship and have only free accounts, for a free club penguin. This is very good for everyone but cp don't likes that! 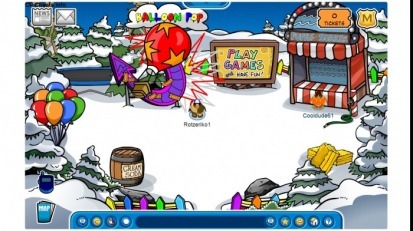 101 days of fun started and club penguin gave a list of fun activities to do on club penguin. My opinion is that the give it only to treat us, because everyone is angry with the community. 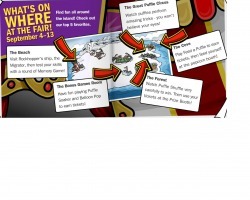 More information at the What's new page of club penguin. Many penguins at all the servers are doing campaign for the global warming!!! Adventure Party is coming next Friday. All Club Penguin is awaiting but he don't think that it will be fair for non-members. So don't be happy!Anyway, the first decorations are applied in the town. Also on THURSDAY June 18th there will be a party of Microchip123, the great director of Penguin Storm. The only thing we know is that it will be at 7:00pm(Athens time) and a quarter before the party we will announce you the server and the room where it will take place. If you are a member and you have bought the box you can enter a special room by walking to it. 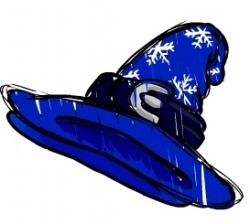 Also there is a free item at the Cave, the blue propelor cap. Everyone thinks that previous years parties were better. In the picture i have been to this room but iam an non member. Secret! The stage is ours!!! We can now pass the red carpet without being members! 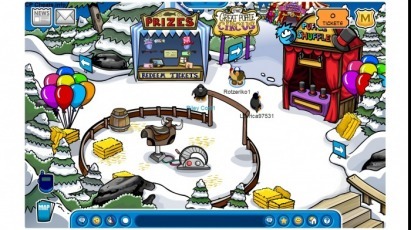 The most popular cheating site in the world announced that non members' requests were considered by club penguin. After our hard work they realised that they must do something for us! And from March 27th we will be allowed to enter the stage while the penguin play awards event is on! IT IS THE BEST DAY FOR OUR BIG STRONG REVOLUTION! Non members:"Why are we here?" Haven't you noticed the snow that was being kept at the Ski Lodge Attic for almost a year? It is now used. For what? For a party? No, only for some horrible snow sculptures. And while that happens, members are having a party at the stage. So, another unfair season for non members is on. After a long time we start publishing again cheats and other stuff. Everything in Club Penguin becomes worse! They don't give more free items, the parties are boring... The revolution carries on but nothing happens. 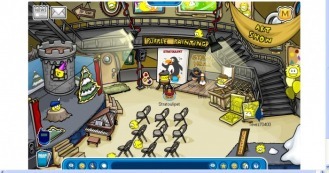 Oh, I forgot to tell you that another awful(for non members) party is on in club penguin. The annual St Patrick's Party. This year's however is the worst ever! They give one old free iten ONLY and they have another free item and a special room. And the bad news: The other item and the special room - it is very easy to guess it- is only for members. What a difference from the previous parties of 2009. 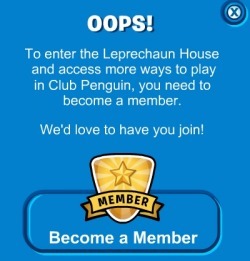 MEMBERS MEMBERS MEMBERS, BECOME A MEMBER, MEMBERSHIP MEANS MORE, OOPS, YOU HAVE TO BE A MEMBER TO MOVE YOUR PENGUIN, BE A MEMBERS OR YOU GET BORED..blablabla...Only this says Club Penguin for our requests. STOP THAT SOMETIME ******* DISNEY! Here it is! Take a look! The party has started! 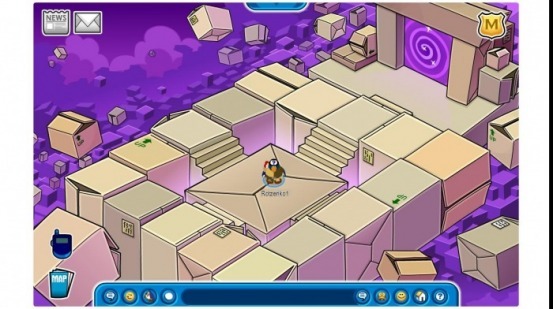 All the Club Penguin rooms are decorated. Puffles are everywhere! And the best... It's not a member party. All the penguins can do the same things. Also there is a free item. It's the puffle bandana. 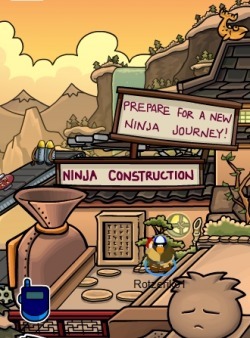 The construction of the puffle party started and now they have boxes in the Town, the Forest, the Cove, the Ski Village, the Nightclub, the Beacon and the Ice Berg. Or simply, EVERYWHERE!He hope that it will be better than Fiesta which was the most boring party ever! WHAT? The pool is empty! There is a new play at the stage No, it's not new. It's an old play. We are bored of this. Club Penguin moderators, please we want something new! "This is not the full version of Penguin Storm 4. Its just for people to test it. This is the BETA version of penguin storm 4. I have decided to do this after all the problems with penguin blizzard. I have found out why penguin blizzard was not working but that means removing large things of the trainer. I hope to have the full version out on Friday." There are some new French servers! But they don't show the penguin's name. Also everything is in French. All members have bought a lot of puffle furniture and nothing happens. 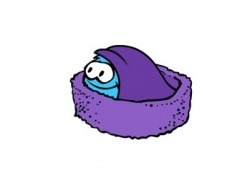 So, club penguin developing team as members wanted, -because members pay the company and they don't want to lose them-, will make special sleeping and behaviour for puffles when they see the toys. 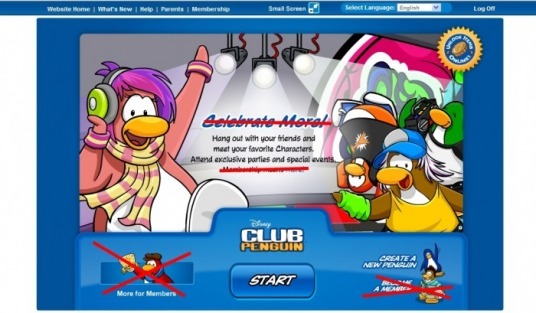 That's only for members so we simply don't care!The only good thing is that cp will be having a party for everyone on February 20th. Although we will continue protesting for our rights! Also if you want a super rare non member you have to answer this question and send the answer to our email. -When was the Lighthouse T-Shirt given?And tell the date correctly. 1. How often does Rockhopper visit Club Penguin island? 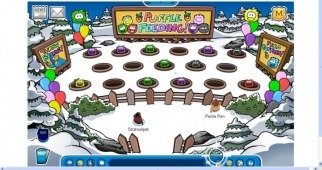 2.Which was the 50th pin of Club Penguin? 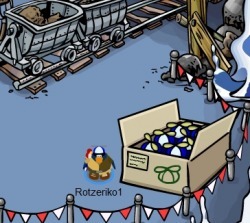 3.Which was the first item Rockhopper brought? 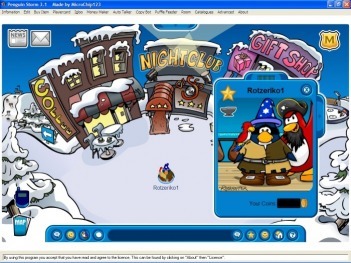 4.What was the name of the online game that stopped in 2005 and became Club Penguin? 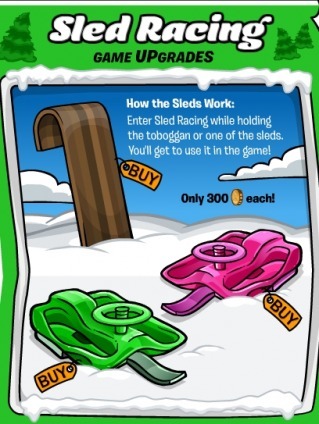 5.What was the first free item on Club Penguin? Super rare Non-Member is mine! 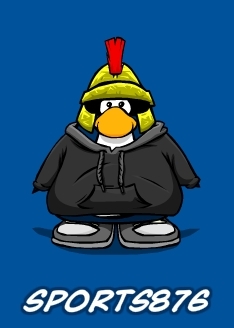 I have now a super rare non-member called "Littledude35" which is 940 days old and has the Horse Shoe pin , which is the 9th pin since club penguin started! 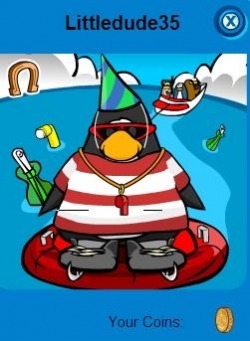 He has also the free Ice Skates, The Free Red Sunglasses, the 1st Year Anniversary Hat and the first free shirt, the Lighthouse T-Shirt which was given when the Lighthouse was built(that in the picture)! After the updates of club penguin microchip123 managed to fix Penguin Storm and call it Penguin Storm 3.1. This can also load the items on the player card!It is the only current working program. Club Penguin has done an update about a f....ing golden sign for F......ING MEMBERS AND NOW All Hacking Programs stopped working!! !F.....ING CLUB PENGUIN!! !We have informed Microchip123 to fix Penguin Storms and others. He hopes that at least in a month we will be able to use them again. Until then the site will only publish cheats, secrets and events! 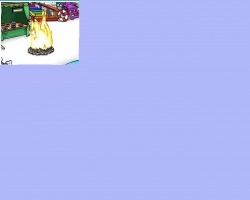 All free items have came out in club penguin until Fiesta 2009! SECOND CP BEST HACKS MEETING! Everyone is invited to the first metting at 6:00pm on Sunday 25th January 2009(Athens Time). All the members have to be there, too! Dance Game for everyone now! 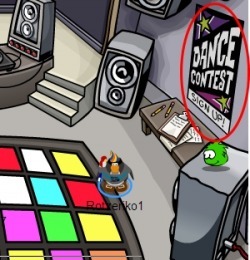 The dance game is now opened for everyone who plays club penguin, but the developers like making us different from members, so the multiplayer mode is only for them. Aunt Arctic came to see what's happening! It is a very important matter. Club Penguin has done everything to make us hate more the members!So, Aunt Arctic came to calm us! Today it is Tuesday and the party hasn't ended yet. 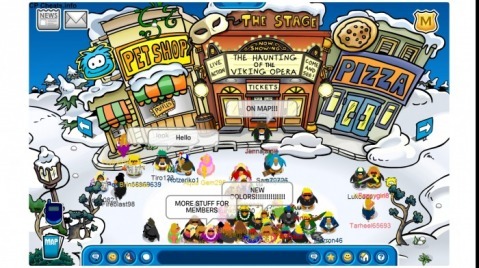 Non-Members say the they will carry on with the war until Club Penguin consider their reguests for more free items and the freedom of them!Our site is with the non-members, we are all non-members too and we will be happy to have you joined to this revolution at the server Antarctic, today. We hope that cp will consider our reguests! The first CP Global War is spreading!!! A war has been started and won't stop until Monday, the day the party ends!Non Members have made a revolution! Just look! Everyone is screaming! The screen in the nightclub welcomes all the penguins! Click here to play the new club penguin dancing game. Click here to see the Night Club. Click here to see the Lounge. Click here to see the Night Club Roof. -You can get the new boombox item at the night club. 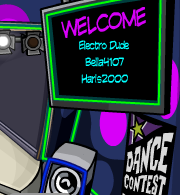 To see the DJ Cadence backround item click here. Its ID number is 9015 , It is a members only item. Look at the picture!! !How much crowd! 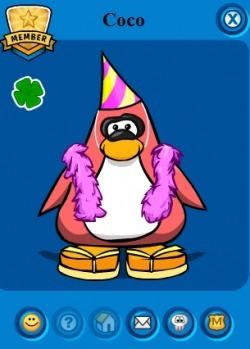 After the member party Club Penguin is having a Party next Friday called "Winter Fiesta". Another party will also take place in February. 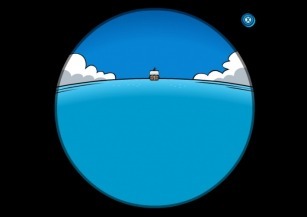 For this, club penguin developing team is planning to make it a water party! That means that we will be able to throw water bombs!Just wait we do not know it for sure. The party didn't started today! 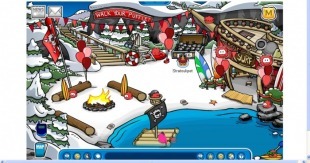 Unfortunately the party didn't started today and all penguins on club penguin are very angry about that! Many of them however think that it has already started and tell the non-members to leave Night Club. It has been a mess! More about the member party! Night Club will have three levels(one is for the party) and there will be a dancing contest. We hope that we will manage to get in! Member Party will be announced tomorrow! A member party is being announced tomorrow at the Newspaper!Actually we will be able to access it with our programs.Mwhahahaaaaaa!! !It will take place from 15th January to 18th January at the party room.Our team will be there and we will inform you about the time we will be logged on.Do not miss it! 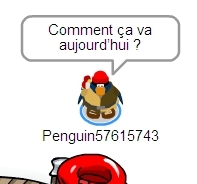 We called Club Penguin and they said that they can't remove the forever ban on Jawser123!We will continue contacting it until they do it!Until then Jawser123 will be using a penguin named Agado21. 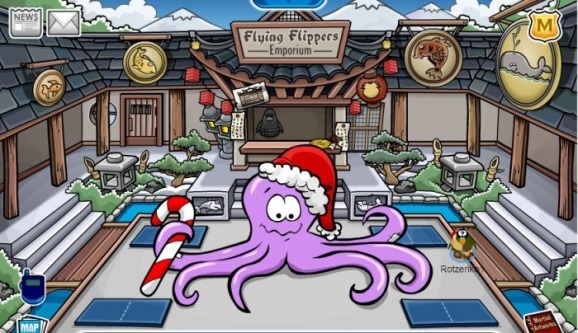 The ninja hideout is also decorated for Christmas with a huge octopus which was used for the Summer Party to decorate the dojo!!! It's Christmas! 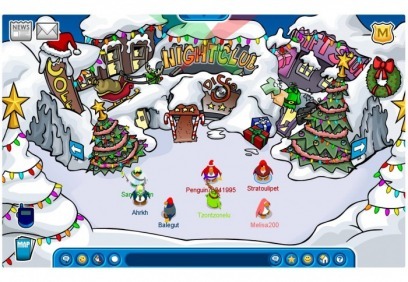 So Club penguin is organising for the third time a Christmas Party. It has new items and new decorations. Rockhopper is here with his christmas decorated ship!Do not miss it. Enjoy the celebration and take your friends with you to the Migrator and find the rare pirate catalog!